The alleys of Downey are filled with trash cans, dogs barking behind tall fences, and often, a couch or coffee pot someone has left out for the garbage (but somehow disappears before trash truck day). 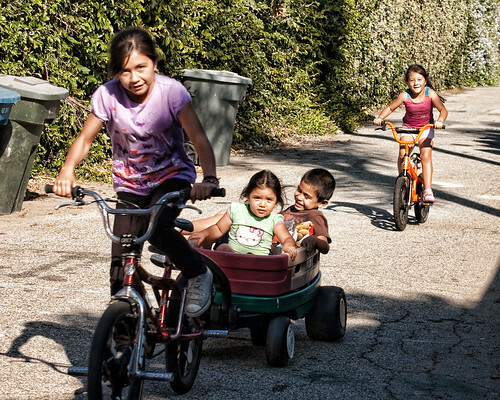 Sometimes though, you get to see kids racing up and down playing on the less dangerous roads. Traffic goes (hopefully) a lot slower back here so there's not much to look out for.